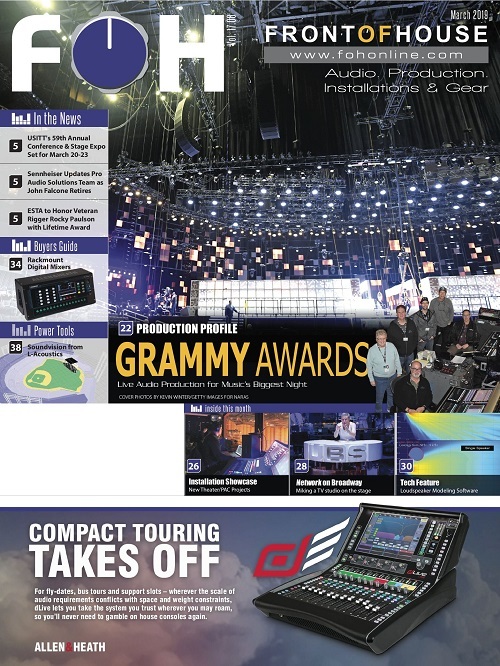 VINA DEL MAR, Chile – Singer-songwriter Sebastián Yatra is currently one of the most successful and reputable up-and-coming Latin artists. 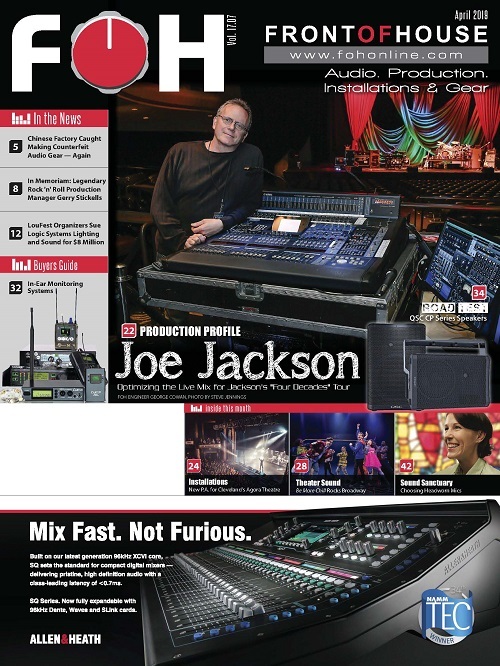 For his recent performance at the 60th Vina del Mar International Song Festival in Vina del Mar, Chile, one of the oldest and most respected music festivals in South America (which is both performed live and televised), the principal audio team – front-of-house mixer Will Madera (pictured here), monitor mixer Andres Guerrero Ruiz and broadcast mixer John Buitrago – chose to employ the Waves eMotion LV1 Live Mixer in each position (FOH, monitors and broadcast). 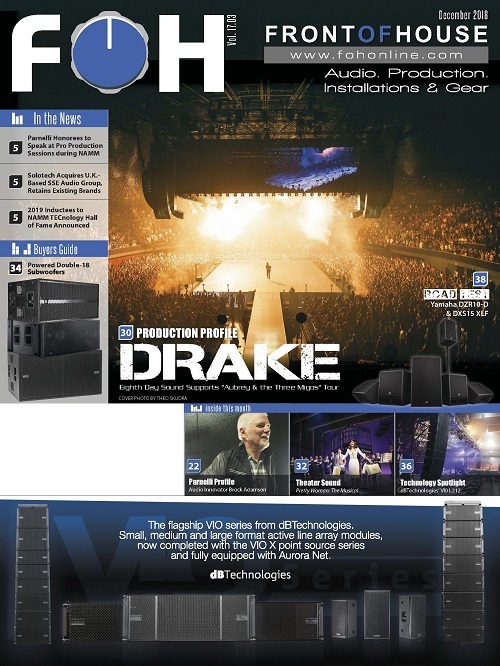 Yatra’s team has been using a complete Waves SoundGrid and eMotion LV1 setup since the beginning of his tours. 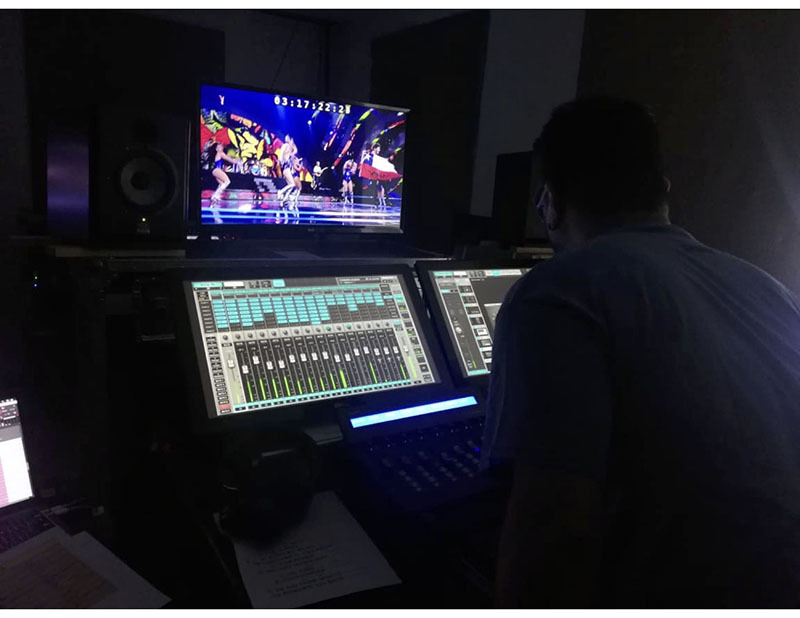 Subsequently, Yatra’s team chose to deploy an integrated SoundGrid solution at FOH, MON and Broadcast for this prestigious and highly technically demanding live performance and television event. 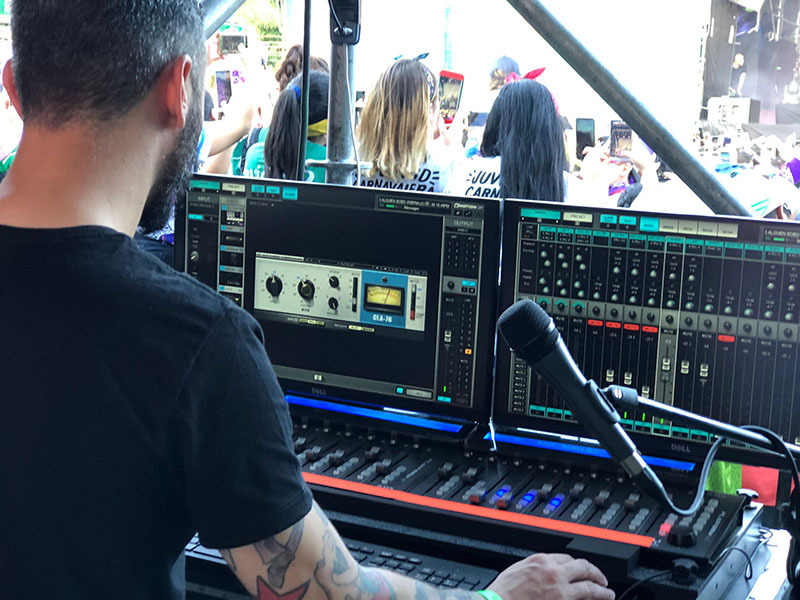 Due to the live TV recording, the Vina Del Mar festival uses primary and backup solutions at all positions, as well as integration with their house setup. 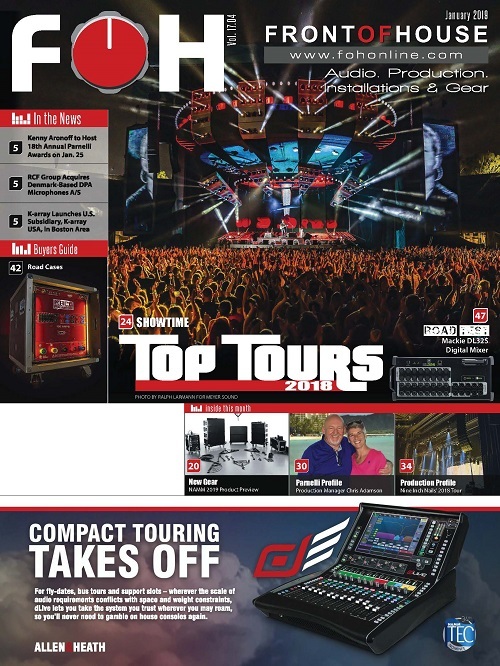 Thanks to the ease of cross-platform integration using Waves SoundGrid solutions, Yatra’s team was able to deploy their standard tour package of Waves eMotion LV1 consoles (plus the broadcast console), and still integrate seamlessly with the festival’s DiGiCo SD Racks for PA output feeds. 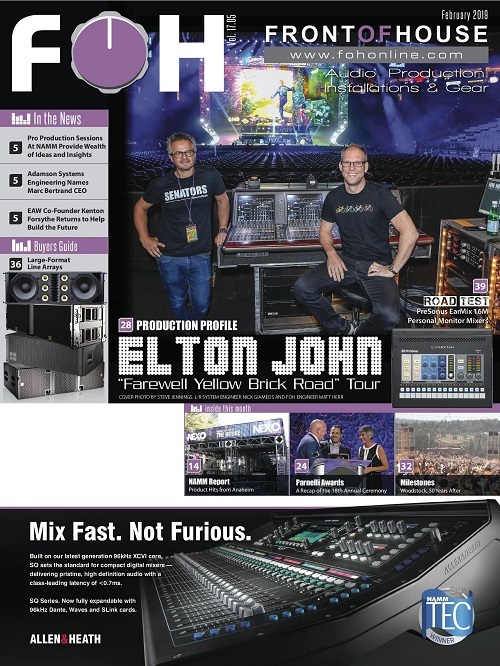 Will Madera and John Buitrago’s FOH and broadcast setups: the Waves eMotion LV1 Live Mixer (v10), two Dell 24 Touch Monitors, a SoundGrid Extreme Server, a DiGiGrid MGB interface for the MADI IO, an Icon Platform M and X fader controllers and a DiGiGrid IOC audio interface as local IO. 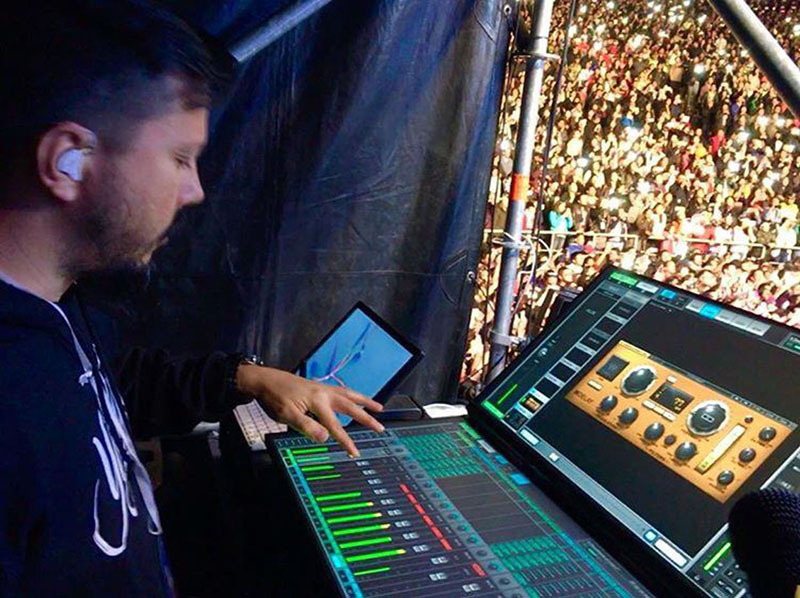 Andres Guerrero Ruiz’s monitor setup includes the Waves eMotion LV1 Live Mixer (v10), a Mac mini, two Dell 24 Touch Monitors, a DiGiGrid MGB interface for the MADI IO, a Waves Extreme Server, and two DiGiGrid IOX’s.